90 Pts: It shows concentrated shows concentrated tropical melon and pear drop, with a hint of lemon grass character and a full mineral follow through on the palate. The profile of this wine is based on the vines planted on a variation of Shale and Clay based soils and the wine therefore expresses the broad richness of the clay on the palate and aromatic tropical fruit and mineral character on the nose. 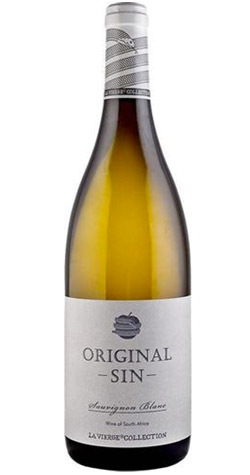 Using a blend of yeasts and the intrigue achieved with the two portions of Semillon, it shows concentrated tropical melon and pear drop, with a hint of lemon grass character and a full mineral follow through on the palate. These batches of Sauvignon Blanc and Semillon grapes are harvested early in the morning and then destemmed and crushed at cold temperatures using dry ice to prevent oxidation of the must and to preserve flavours and aromas. The must then undergoes a period of skin contact of 4 hours at 10° C to capture some concentration from the skins. The skins are pressed lightly and the juice left to settle for a period of 48 hours at 5° C. The Sauvignon is fermented in stainless steel tanks and is maintained at temperatures between 11° - 13° C until the wine is dry. The Semillon fermented in small French Oak barrels and blended into the Sauvignon after 2 months maturation. After careful blending the wine underwent a further 6-month period of maturation on the fermentation lee’s in tank, in order to further develop complexity and character on the nose and palate. La Vierge, French for 'The Virgin', is nestled in the folds of the breathtaking Hemel-en-Aarde Valley (Heaven and Earth) close to Hermanus. Our lovingly tended vineyards, situated in Hemel-en-Aarde Ridge, are characterized by long cool summers influenced by the close proximity of the Atlantic Ocean. Using sketches and drawings by renowned British artist, Sir Michael Adams who works and lives in the Seychelles, a design language was created that reflects the rich symbolism associated with the Hemel-en-Aarde area. Our crest represents Adam and Eve pondering the Serpent and Apple. The unspoilt beauty and provenance of our virgin terroir are reflected in the Garden of Eden theme of our branding, suggesting a lush verdant paradise with all the purity, simplicity, innocence and temptation of life's beginnings.